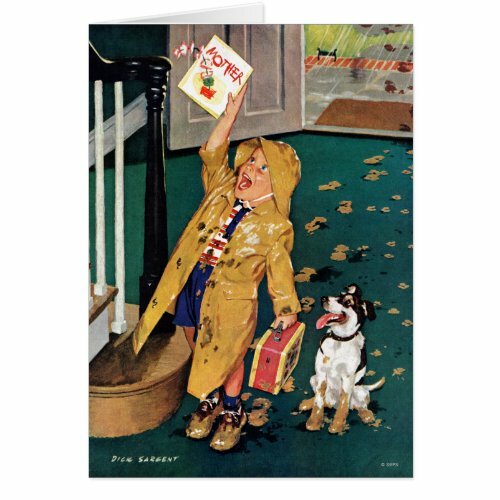 A lovely, cute, funny, adorable, retro caricature of an excited young boy returning back from school, with a hand made mothers day card for his mom - unmindful of his or his pet dog's muddy feet leaving footprints all over the entrance. Featured here on a customizable greeting card. Makes a great mothers day mail to moms everywhere.